Dimensions: 5ft. 10in. x 8ft. 9in. 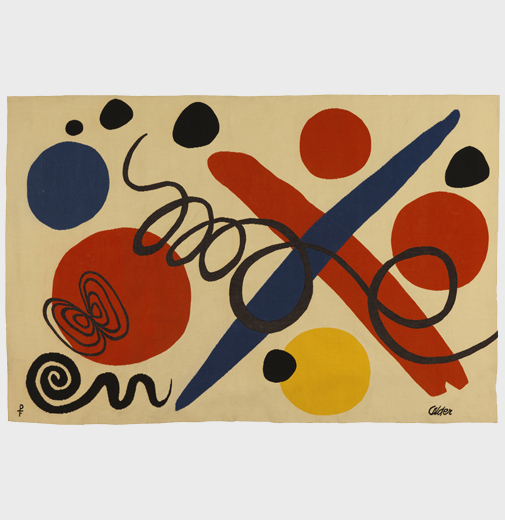 In 1971, after moving to Sache, France near Aubusson, Alexander Calder took a strong interest in tapestry leading him to partner directly with Aubusson weavers and produce a series of spectacular tapestries. 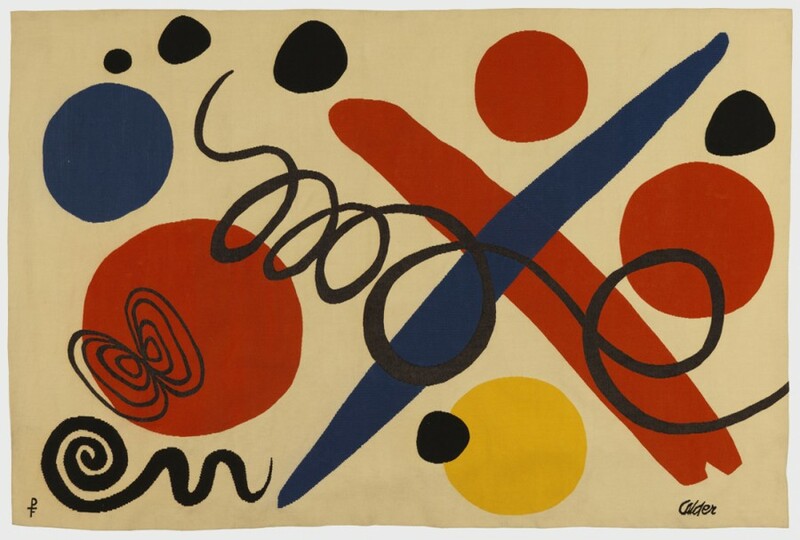 Calder’s deliberately restrictive color palette and his bold, simplified forms were perfectly suited to the tapestry revival flourishing in France mid-century.